Cookies for breakfast, yes please. Another week rolls round and I have more bananas going brown in my fruit bowl. I only eat them when they’re green-ish, the minute they soften and turn remotely yellow/brown I am not interested. This leads to a glut of frozen bananas filling my freezer or, God forbid, I have to throw them away. 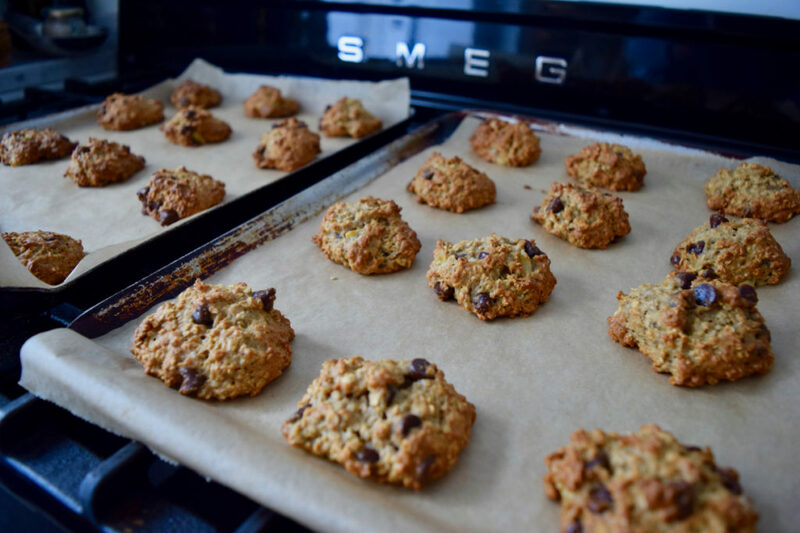 There’s only so many smoothies you can make so this week, I am sharing this Banana Breakfast Cookies recipe, to deplete the frozen banana mountain in my freezer. I was instantly drawn to this recipe for a myriad of reasons. a) to utilise the aforementioned bananas b) I never know what to eat for breakfast and c) cookies for breakfast, what a genius idea. I struggle with breakfast full stop. It’s my least favourite meal of the day unless it involves thick white bread, butter and peanut butter or a full English. My waistline doesn’t permit such delights on a daily basis, so I struggle to think of things to tempt my morning taste buds. 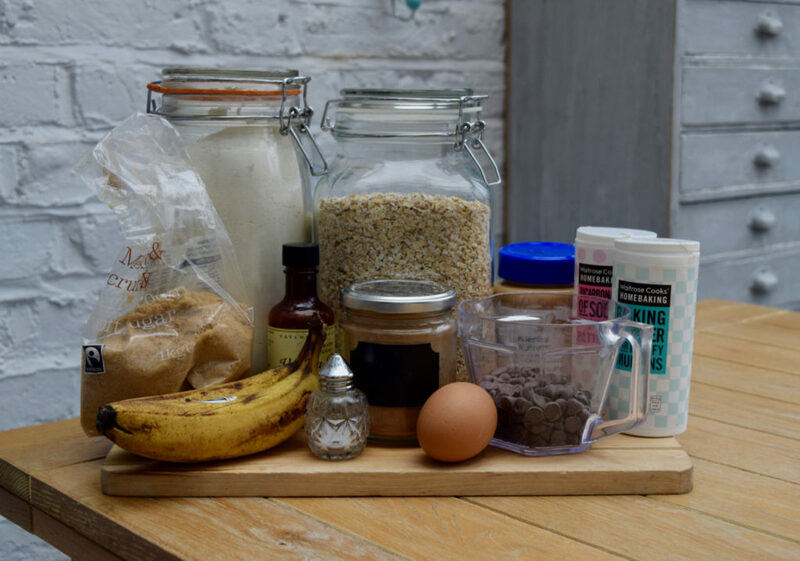 This brilliant recipe from the kind The Gold Lining Girl, with thanks, can be adapted to include all your favourite flavours. I used peanut butter, but if you have allergies, then any nut butter should be fine. My cookies had dark chocolate chips in but you could substitute these for sour cherries or raisins for a slightly healthier option, or go for nuts or seeds instead. The whole point of these cookies is that they’re simple. Just two bowls to wash up and 10 to 12 minutes in the oven. 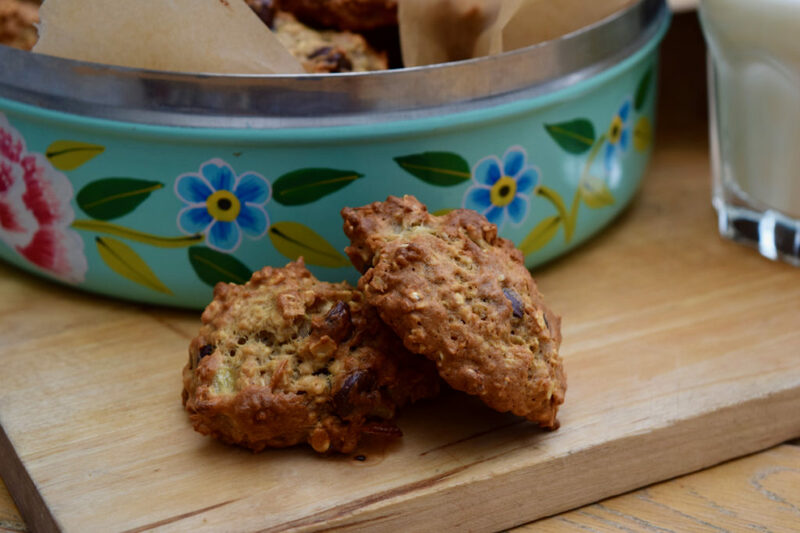 The resulting breakfast treat is a soft cookie, full of flavour, firm without being dry and they give you the energy boost you need what with it being cold, grey and still January. 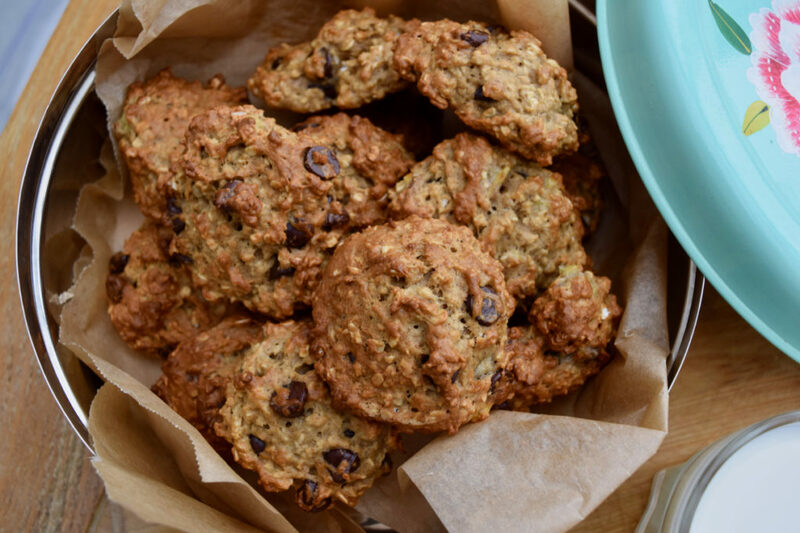 I have fallen for these Banana Breakfast Cookies. As has Clyde who, and I haven’t been counting *I have* has eaten 8 in the last two days. They are a delicious, portable, quick solution to your morning breakfast lethargy. Just maybe don’t eat 8. Pre heat your oven to 160 degrees fan assisted and line two large baking sheets with greaseproof paper. 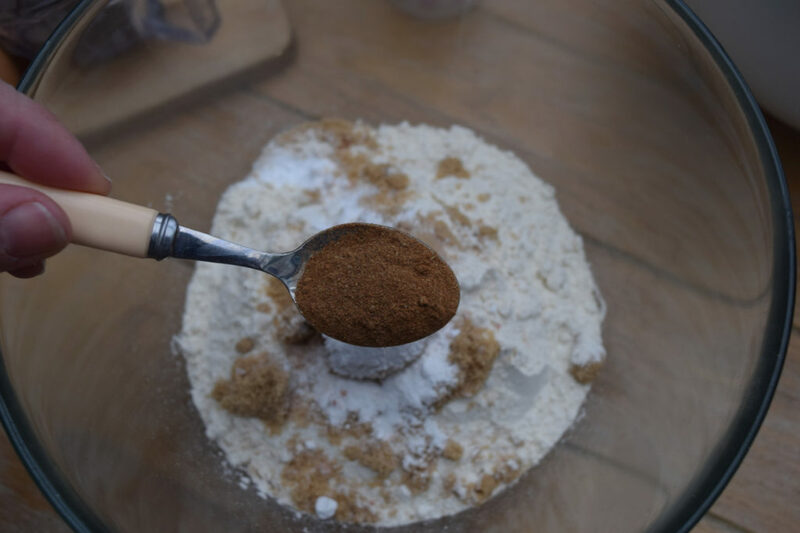 In a large bowl measure in the oats, flour, sugar, baking powder, bicarb, cinnamon and salt. Give this a good stir then pop to one side. In another smaller bowl, add the bananas and peanut butter and mash well. Mix in the egg and vanilla and stir again. Fold the wet ingredients into the dry ingredients and mix until you they are just combined, don’t over mix. 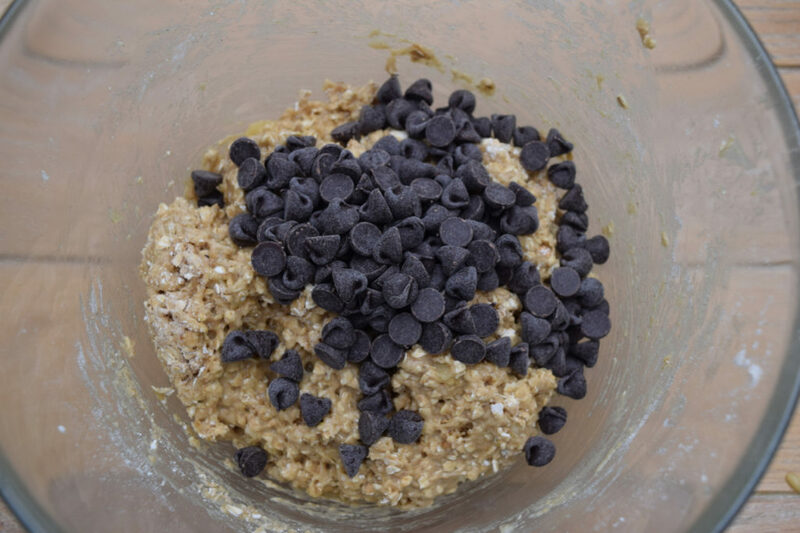 Stir through the chocolate chips. 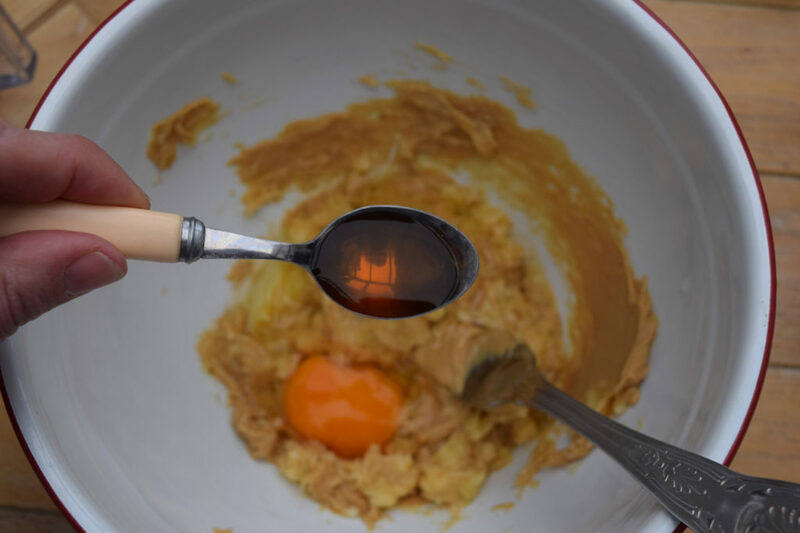 Spoon heaped teaspoons of the mixture onto your lined baking sheets, fairly well spaced although they won’t spread much. Bake for 10 to 12 minutes or until just golden and firm to the touch. These are divine warm or will keep well in an airtight tin for 2 to 3 days. Or keep in a bag in the freezer and defrost as and when needed.